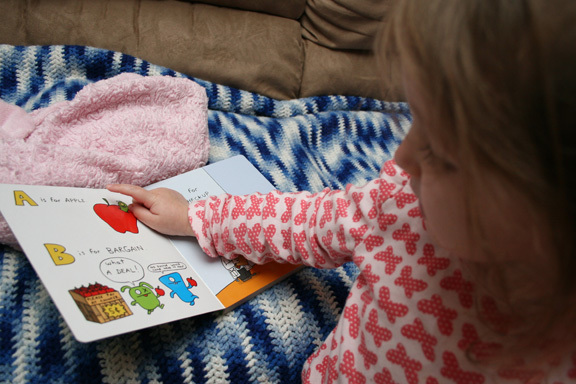 Chronicle Books and Blue Apple Books offer fantastic titles for children. I thought I’d share some of my favorites books so I’ve categorized them by themes. These books encourage creativity, imagination and learning. Every moment children spend with their parents can be a learning experience. Reading books is part of our daily ritual with Teagan. Some teach her about the arts, far away places and some are books for us to be creative together. All of the Chronicle Books and Blue Apple Books have wonderful images, fun characters and remember that the ABCs can be fun! Enjoy! Are you a sock monkey fan? This book is for you! My sewing skills are a little shaky and Teagan is too young to work on this project by herself. 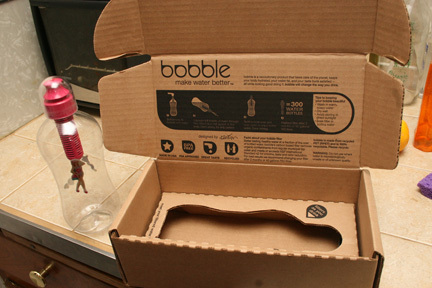 The kit is recommended for kids 8 and up. 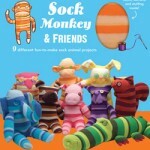 The instruction book has wonderful illustrations and 9 different sock animal projects. Sometimes the easiest of instructions confuse me! Because what I made didn’t look anything like the sock monkey or any of its friends listed in the instructional book. Teagan eagerly participated by stuffing the sock! I realized that this kit was the answer to mismatched socks! 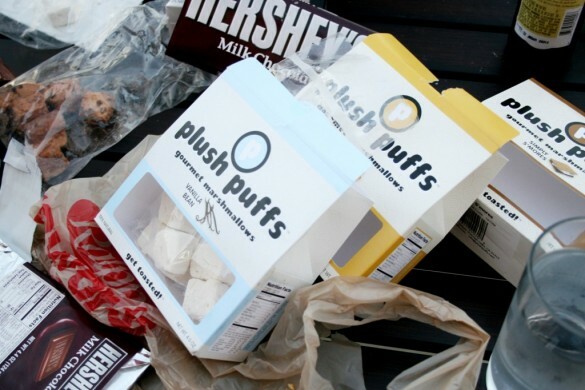 I have a drawer full of them and now I can turn them into a Sock Monkey or something that resembles that. I’m sure with practice my results will improve. 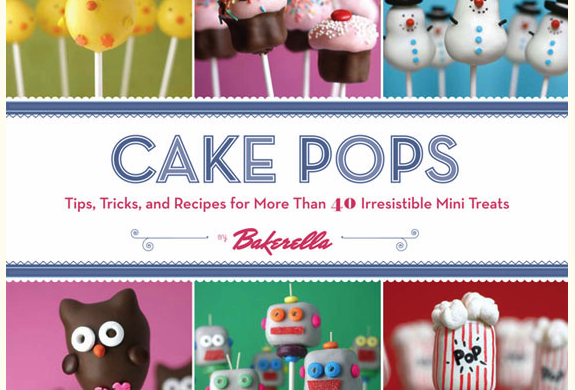 This us a fun book for moms and daughters to work on together. I love this little board book by Sudan Goldman Rubin. The story starts off with a familiar childhood toy, a train. “All aboard! Choo choo! 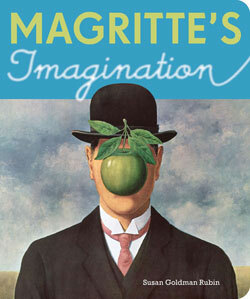 Where do you think we’ll go… ?” All the pages are paintings from surrealist painter Rene Magritte’s. The book takes you on journey of imagination. A journey where apples grow on faces and where men walk on the clouds. This book always holds Teagan’s focus. She loves inspecting the curious images and this is a book we can continue to turn to as she gets older. Although, I’m a firm believer that it’s never too young to introduce your children to art. I’ve always been a doodler. Every since I was young I can remember doodling faces, flowers and paisleys. There are a plethora of coloring books available for kids or you can grab a drawing pad but this book is so much more. Doodle 123 is the answer your young doodlers drawing dreams! 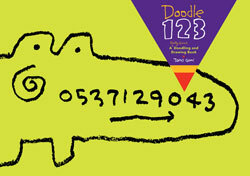 Drawing 123 is “A Really Giant” Doodling and Drawing Book! This book is so much fun! Greenie is the mealtime mascot for young diners! Children learn about their favorite fruits and vegetables while coloring! Are You Eating Something Green? is a brilliant book to take out to your favorite restaurants. The pages are double sided. The backside allows kids to color in the black lines. Rip out the page when your child is done coloring and use it as a placemat once their food arrives! Or save the pages and display them on your fridge or as artwork on your child’s wall. 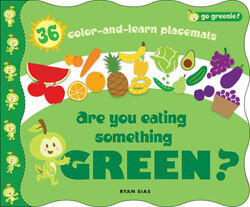 This book would be great for teachers to teach the colors of food to their students. I showed this to my daughter’s preschool teacher and she said she was going to buy one for her class. I also like that the theme is subtle about encouraging healthy eating. 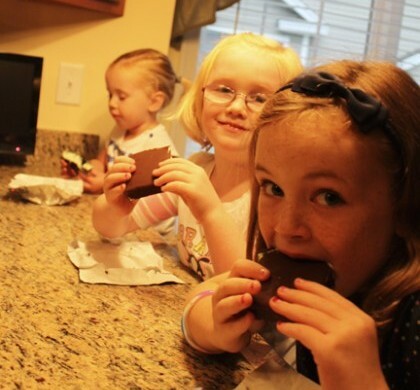 Has your child tried everything that’s in the book? This is a typeface lovers dream! Being a professional graphic designer, I deal with fonts on a daily basis so I can appreciate the design work that went into this book. Alphabeasties books feature animals comprised of typefaces. I’m sure every young child has one or two alphabet books in her library. What’s unique about this book is that children learn their ABCs and also see different shapes of the letters, upper or lower case in a way that each animal is recognizable. This book is full of words and color. You will find words that form to create blades of grass. It might be a little abstract for new readers. Each letter shapes a different animal and repeats the word of the animal. The Alphabesaties flash cards are a wonderful addition to the Alphabeasties book. Again, every child probably has a set of flash cards but these cards are made of high quality card stock. The cards complement the Alphabeasties books and continue to feature animals comprised of typefaces. The cards come in a nice box, which is great for storage. Bonus! The cards are double sided. Each card is part of a puzzle. 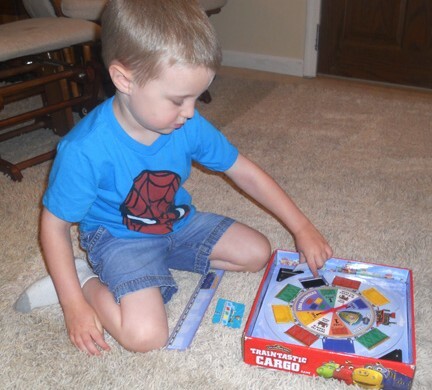 Flip them over to build two colorful puzzles! 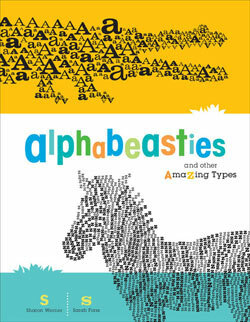 The Alphabeasties book and flash cards would make a great gift for kids or a graphic designer! This large colorful book has so much detail that it’s hard to know where to look. The illustrations are wonderful and all the different characters on the pages are humorous and well drawn. I am a designer and I love zany books that are geared towards children. Mouk is a bear that leaves for a tour of the world! He visits places like Japan and New York. This book offers a taste of culture and geography. The book comes with stickers that you can place on the shiny and smooth pages. 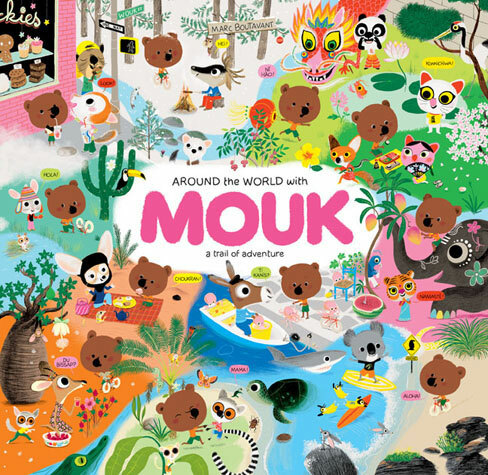 Around the World with Mouk is a wonderful book for young world travelers, because of its illustrative inspiration! This book would make a nice gift. 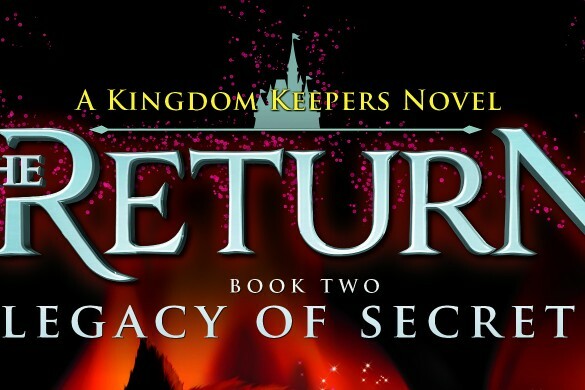 The book would be nice for readers and non-readers alike. 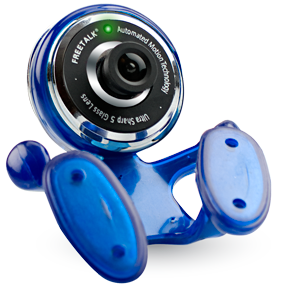 Parents can challenge their kids to a “can you find it” game! 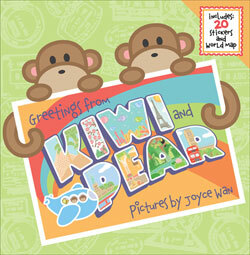 Greetings from Kiwi and Pear is an illustrative journey of two pals who are off to see the world! Joyce Wan illustrates this adorable book. While in elementary school her first greeting card won a card design contest in Boston! Wan’s illustrative style is simple but eye catching. The two monkeys, Kiwi and Pear travel to far off places such as Paris and India to visit worldly landmarks. Kids can learn about different continents and the animals that roam their respective countries. This book comes with 34 stickers and a world map. Teagan and I hung the map on her bedroom wall and placed the stickers on the different locations as we read the book together. The book is compact and would fit nicely in a travel bag. The pages fold out to give a larger scale of where the pair are visiting. I love how after their explorations they come back home. Their favorite place to be! Did you have a best friend that you did everything with when you were a kid? Or did you love your family vacations? My best friend and my family vacations are favorite memories of mine. Start your own book or journal about your adventures with your friends or family. * We did not receive monetary compensation for this review. That’s IT Mommy received the books mentioned in this post to facilitate this review. We are always looking for more books to add to our collection or to give as gifts. 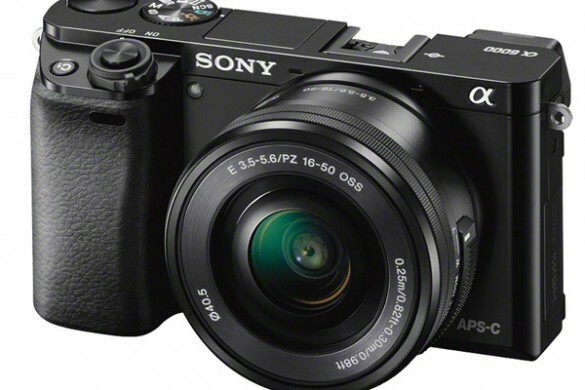 This review gave us a lot of new options. Thanks! Sounds like I need to a few of these books to our collection! My son loves maps and stickers and monkeys! Around The World With Mouk would be a great book to read to both my 15 month old daughter and my 5 year old son! Ooh! These look so cute! My 2-year-old would love the Alphabeasties and the Mouk one looks great. I’ll have to look into them! Those alphabeasties cards look like they would be a great addition to our preschool supplies! Thanks for sharing! What cool books! I love introducing cool, inspiring visuals to my kids. I’ll have to check out those Alphabeastie cards. May be a cool thing to hang on the walls in our playspace. Love the Sock Monkey book! We’re sock monkey fiends around here, they’re so much fun to make. I haven’t heard of any of these..thanks for the great list. Def. going to check them out! Those are very cool books! Wow! 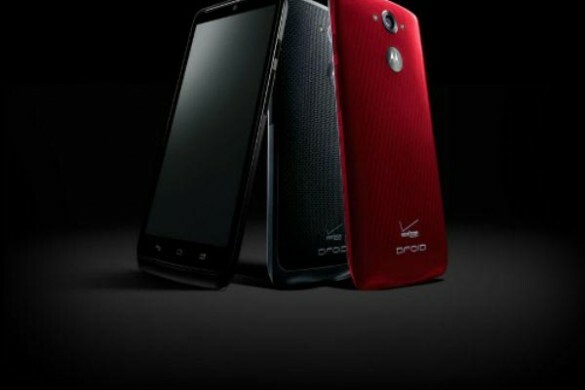 I so want one of each!! Especially the Magritte and Alphabeasties!